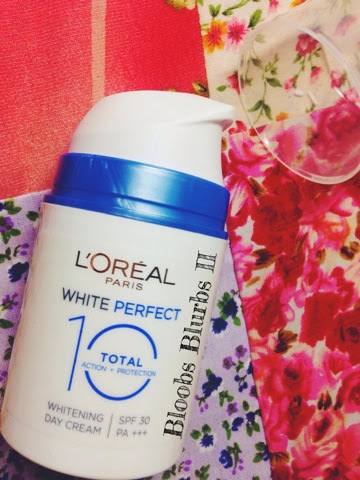 Hana Blurbs: [GIVEAWAY] Loreal White Perfect Total 10: Win For You and Your Buddy! 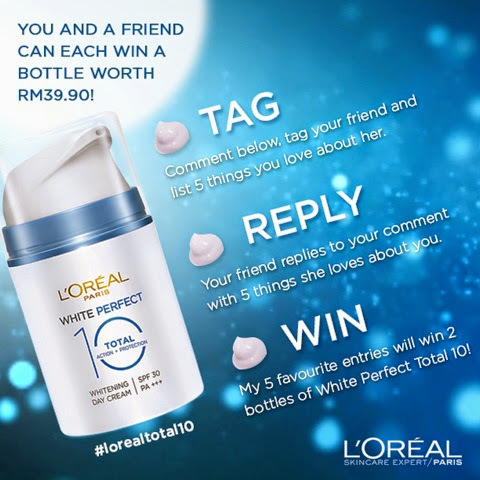 [GIVEAWAY] Loreal White Perfect Total 10: Win For You and Your Buddy! If you remember my review previously on L'oreal White Perfect Total 10, now is your chance to try it out yourselves, and along with your buddy too! Before I tell you how to, be quick to sign up here to receive L'oreal Paris mystery gift and free sample of L'oreal Paris' all new White Perfect Total 10 product! That said, if you wish to win these free day creams, all you have to do is follow the instructions below! L'oreal Paris has agreed to kindly sponsor TEN bottles of this L'oreal White Perfect Total 10 to FIVE of my lucky readers! 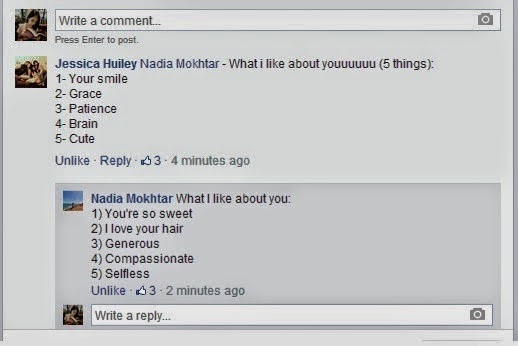 Yes people, FIVE readers!! Go to my Facebook page now for more details!